The prevailing idea of retirement housing most of us have is the stereotypical old age home: a hospital-like environment. But things are changing, largely owing to South Africa's large, growing population of elderly people, which has created a gap in the market. There are not enough housing options for middle-income retired citizens other than living alone or being in the typical old age home, says Arthur Case, CEO of Evergreen Lifestyle, a leading provider of retirement accommodation. 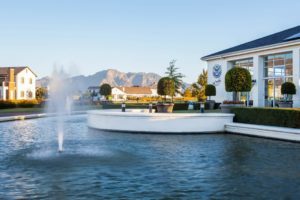 A particular trend in South African property generally is the rise in the development of residential estates, as more and more consumers are buying homes in lifestyle communities that provide all amenities in one space. This was evident in a recent report by AfrAsia Bank and New World Wealth, ‘The top 10 residential estates in South Africa’. Most notable in this report is a list of the top 10 luxury retirement estates across South Africa, highlighting this model as a new choice for retired middle-income citizens. Three of the estates featured are Evergreen Lifestyle Villages. Evergreen Lifestyle Villages are located in some of the most beautiful parts of the country and offer a comfortable, quiet and private life while availing easy access to amenities for their retirees. With Villages in Johannesburg and the Western Cape, Evergreen is able to attract more middle-income retirees, who would otherwise not have been able to afford this kind of housing, since the pricing, based on the Life Right Model, makes these homes more affordable than comparable freestanding or sectional title properties. Case explains that the Amdec Property Group, after identifying this growing section of consumers, established Evergreen Lifestyle, a division specifically focused on the provision of retirement accommodation. Now, leading financial services firm, PSG, has endorsed this perception through its purchase of a 50% stake in Evergreen, showing confidence in this solution to the missing gap in retirement housing. The type of housing estate which Evergreen Lifestyle is developing is certainly addressing the needs of many older people, and will impact positively on the retired community in years to come.